Play your instrument with the accompaniment of a real orchestra. 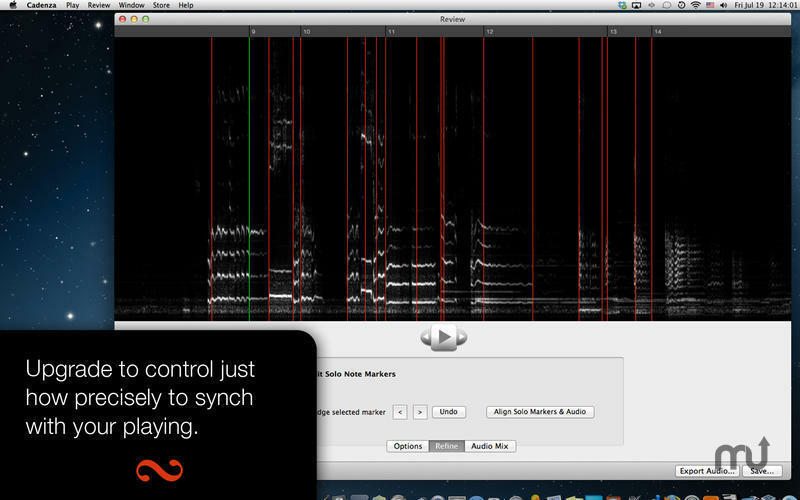 Is there a better alternative to Cadenza? 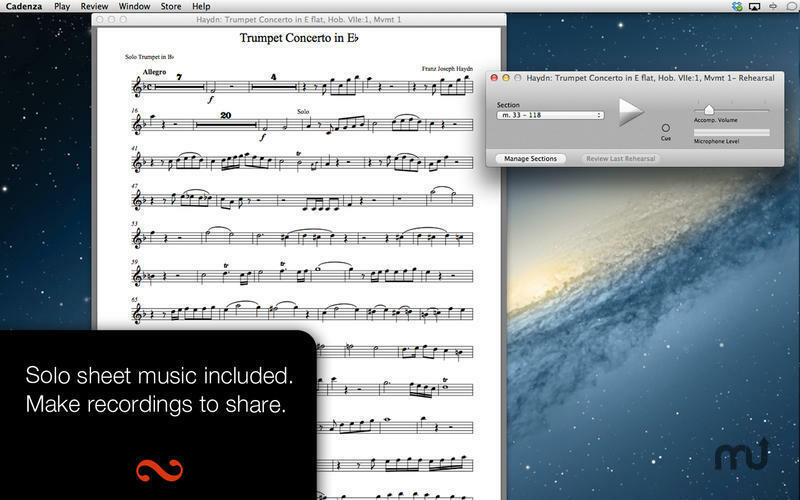 Is Cadenza really the best app in Music category? 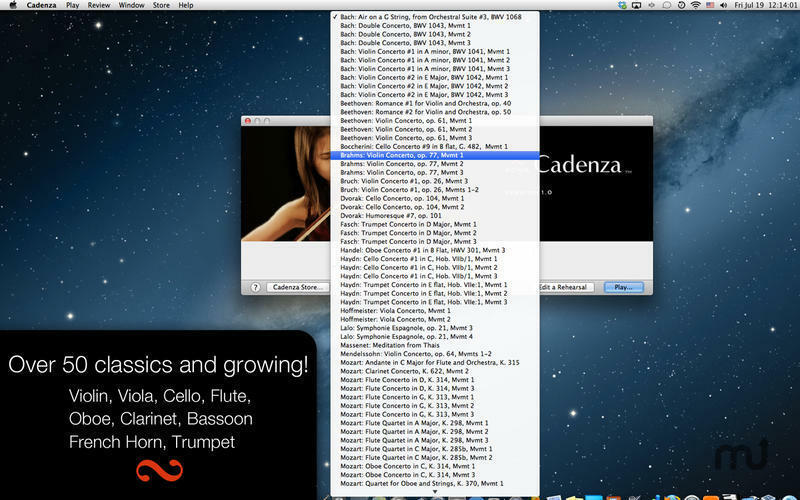 Will Cadenza work good on macOS 10.13.4? 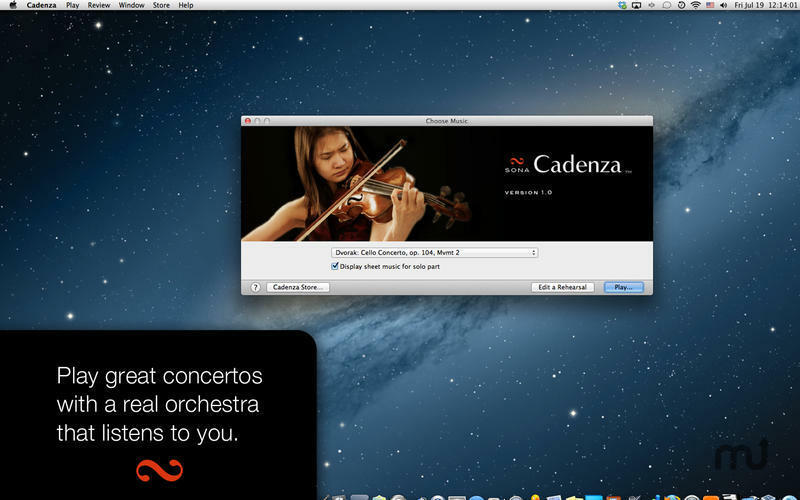 Cadenza lets you play the world's best-loved music on your instrument with a real orchestra accompanying you. It is the first and only app that listens to you, anticipates how you're going to play, and accompanies you in real time. Play Bach, Beethoven, Bruch, Brahms, Mozart, Haydn, Tchaikovsky, Vivaldi, and more. Buy additional music from our in-app store. Just pick up your instrument and play. It couldn't be easier. Slow down, speed up, hold that fermata - the orchestra will be right with you. Each time you play, Cadenza learns from you and fits even more closely to your style. Fixed a bug that prevented some people from accessing the in-app music store. Cadenza needs a review. Be the first to review this app and get the discussion started! Cadenza needs a rating. Be the first to rate this app and get the discussion started!